Today. 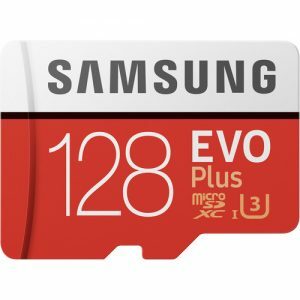 Amazon has the Samsung 128GB EVO plus MicroSDXC Memory Card w/Adapter Sale Priced at $36.55. Free shipping, free pickup in store. Tax in most states. Highly Rated 4.9 out of 5. $55 at amazon from a 3rd party. - Limited stock. Fast Class 10 card. Double check that your device can support micro SDXC cards. 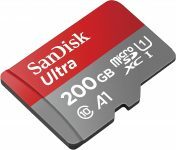 Smaller memory cards like this one, with full sized adapters are more versatile, working on smartphones, tablets, cameras, GoPro's, etc. Great for Cell phones, Go Pros, Smartphones, Android Tablets, Tablet PCs.